Trust is such a small word and yet it is a word we all know well. Trust is something that we all have had ever since we were born. As a little child I had no problem trusting that my parents would feed me, buy me clothes and take me to where I needed to go. I didn’t have to worry about whether or not they would come through for me because, I trusted that they would. Life should always be that way shouldn’t it? Unfortunately, it isn’t always that way. Why? Well, it’s because we’re people. Sometimes, people forget the promises they’ve made, the things they have said that they would do and don’t. They can get caught up in the busyness of life. Broken trust can be a painful thing. Once trust is broken we tend to build up walls within our hearts and vow to never let our hearts be vulnerable to anyone again. The only issue with this is that you may eventually shut everyone out. Because, people no matter how wonderful they are, they will fail you and hurt you. People make mistakes. So what can you do if you know that people will fail you and hurt you? We must trust the one who has never failed us and will never hurt us. We must trust Jesus. In life, we will always encounter people. The question is how do we relate to them in a healthy way? God created relationships. There have been so many times in my life that I have asked God to help me in the area of relating to people and He has been so faithful to help me. I have found that as I ask Him to help me in encouraging them, listening to them and conversing with them that He will step in and give me the words to say. What about the fear of getting hurt? 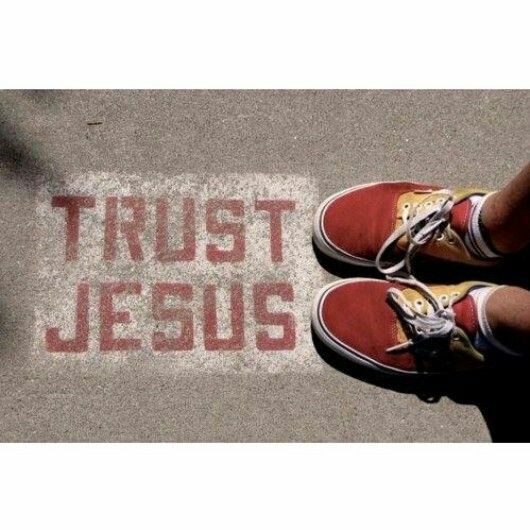 That’s where trusting Jesus comes in. When we trust Him with our heart, He will be faithful to protect it. Do we use wisdom? Yes. But we can’t let fear keep us from stepping out and building a relationship that could turn into an amazing one. What about the area of hurting others? I can’t tell you how many times I have found that I have hurt people but I had done it unintentionally. If I find that I have hurt someone, I try to make it right by apologizing to them. Then, I pray that God will heal their hearts. I know that I cannot heal their hearts for them but I do know the one who created their heart and can make it whole again. Proverbs 3 says, Trust God from the bottom of your heart; don’t try to figure out everything on your own. Listen for God’s voice in everything you do, everywhere you go; he’s the one who will keep you on track. When we trust Jesus, He will lead us to the place that we need to be, show us what to say, how to act, how to live and how to show love to those around us. Have you ever wondered what it would be like to be perfect? You do all the right things, say the words that you are supposed to just at the right moment. You are perfect in every way. Then, you come back to reality where you find that you say the wrong things at the wrong time. You hurt people’s feelings. You get angry and yell instead of calmly working something out while exhibiting peace, love and kindness. You get up in the morning and your hair is a mess. You try to fix it and your hair doesn’t want to do what you want it to do, it would rather stick up and be crazy. You easily get frustrated to no end when you should be one who is carefree and takes it all in stride every single time. This is what it means to be human. I must admit that if I could have my way and I could be perfect, I would most likely choose to be so in a heartbeat. Sigh! I know that I don’t have that privilege, at least not here on earth, in my own strength. There have been times when I have been disappointed in my imperfections. Wishing I would have said something different than what I had said. Regretting the attitude that I had that was just plain ugly or when I do something foolish. In those times, I stop and wonder if God would still want to use someone who messes up so much. I can remember a time when I was in my room and I had sat down at my keyboard and was singing to the Lord. I could feel His presence more and more. Suddenly, I started to feel afraid. I came face to face with the realization that I felt so dirty and I thought that God was coming to condemn me because of all the things that I had done wrong. Then, Jesus did something unexpected. I saw a picture of him in my mind and when I looked into His eyes, I expected to find anger, instead I found love. When I expected condemnation, He reached out his hand and lifted my face and with one look in His eyes I knew that He was not looking at me that way. I remember tears streaming down my face and being overwhelmed by His unconditional love. Even now, as I am typing this, tears are streaming down my face. Once you realize His love for you, you are never the same. Although, I have to be reminded of it often, every time I encounter His love, I am changed a little more. Ephesians 1 says, Even before he made the world, God loved us and chose us in Christ to be holy and without fault in his eyes. God decided in advance to adopt us into his own family by bringing us to himself through Jesus Christ. This is what he wanted to do, and it gave him great pleasure. So we praise God for the glorious grace he has poured out on us who belong to his dear Son. He is so rich in kindness and grace that he purchased our freedom with the blood of his Son and forgave our sins. He has showered his kindness on us, along with all wisdom and understanding. We are without fault in His eyes. His blood has covered every fault that we have. Hard to believe? Yes, it can be, but it is the truth. He wants to take you and shine His perfection through you. He wants to shine His light, love, peace and joy through you to those around you who need it. God is not bothered by the fact that you have made mistakes and still make them. Why? He has covered them with His blood when He died for you. He remembers them no more. In 2 Corinthians 4 it says, “God commanded light to shine in the dark.” Now God is shining in our hearts to let you know that his glory is seen in Jesus Christ. We are like clay jars in which this treasure is stored. The real power comes from God and not from us. Know this, Jesus loves you unconditionally. He does not condemn you for what you have done wrong and will not condemn you if you do something wrong in the future. Come to Him, let Him love you and wash away the feelings of shame, guilt and condemnation. Let His love and glory be seen through you. Let Him touch others through your life. Giving them Hope where they have none. Giving them Peace when all they have is turmoil. Let Him take your little clay jar and use you for His purpose. Have you ever felt guilty about something? You know you messed up and you have that knot in your stomach that just won’t go away. What about the feeling of guilt that you haven’t been able to shake for a long time due to one mistake that has bothered you for years? This is one of the biggest lies that someone can believe. God never intended for us to live in guilt and shame. There are so many wonderful examples in the Bible of people who have messed up. When they encountered Jesus, the only person who had not sinned and lived life perfectly they knew he could have condemned them. Instead, He did the opposite by showing them love and forgiveness. For example, the woman who was caught in the act of adultery. John 3:16-17 says, For God so loved the world that He gave His only Son. Whoever puts his trust in God’s Son will not be lost but will have life that lasts forever. For God did not send His Son into the world to say it is guilty. He sent His Son so the world might be saved from the punishment of sin by Him. God knew even from the beginning of time that we would mess up. He also knew that no matter how hard we might try that we would never be able to reach perfection in our own strength. With that in mind He did the unthinkable by sending His son Jesus to stand in our place and take the punishment that we deserved upon Himself. He paid for our lives with His very own blood to show us how much He loves us and to release us from having to walk in guilt and shame for the rest of our lives because of our own sin. There is a book that I have been reading that I would like to share with you it’s called the Power Of Right Believing by Joseph Prince. As I have been reading it, there have been some great little nuggets that have been helpful in the area of guilt and condemnation. It is so easy to let the burden of guilt take over our lives when we sin. It’s hard to believe at times that when Jesus says, “you are forgiven”, you are truly forgiven. It’s easy to think well if I just work hard at being good long enough maybe God will look down from heaven and say okay you paid your dues now I will let you be forgiven. Even then, you find yourself failing again and getting back on the vicious carousel called “works”. His blood is enough!! You don’t have to pay anything; Jesus paid the price for you. All He requires of you is that you believe that you are forgiven. Receive His love, forgiveness and grace and watch your life transform into His image. When you spend time in the presence of Jesus, little by little the guilt, shame and condemnation will disappear. Because, you will begin to see Jesus for who He really is. He came to save you from destruction not to show you how horrible you are and how you don’t deserve to live. Micah 7 says, You will throw away all our sins into the deepest part of the sea. Whenever you feel guilt and condemnation try to rear it’s ugly head and lie to you. Focus on God’s love for you, His blood covenant that “you are forgiven”. Let Him change you and rest in His promise that you are His beloved and that He does not hold your sins against you! Who inspires you? If you were to stop and think about someone who you admire for who they are and for what they do. Who would it be and why? I tend to be a big fan of people who have hero-like qualities. 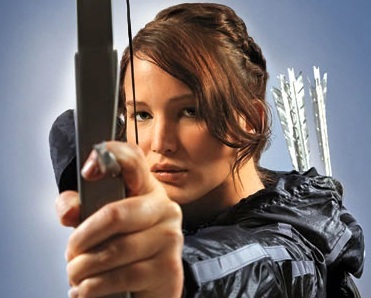 As far as fictional characters go, I like Katniss Everdeen from The Hunger Games. I love how she would do anything to save her sister from facing death and in the midst of doing so finding that she has the opportunity of saving others. She stepped up to the challenge with courage and as a result was apart of seeing Panem (her homeland) saved. 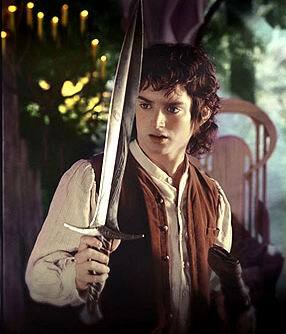 Or how about “most famousest of hobbitses” Mr. Frodo Baggins in The Lord Of The Rings one of my all time favorite stories. He chose to risk his own life by taking the “one ring” that the evil Lord Sauron created to unleash his wicked desires upon Middle Earth. Frodo took the ring and travelled to the land of Mordor to destroy the ring so that Sauron would lose his power and no longer be able to rule Middle Earth. Because Frodo chose to do this, it caused a chain reaction in others motivating them to step up to the plate and fulfill their own destiny. They worked together with Frodo and saw evil defeated. Link thought that he was just an ordinary guy. Until, one day when he discovered that Princess Zelda had been captured by Ganondorf. 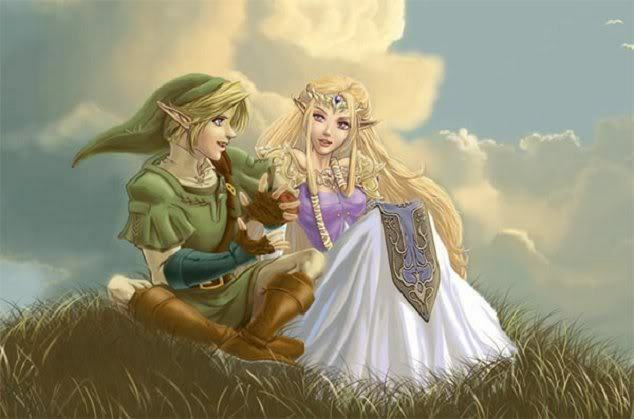 He set out on a quest to save her and in turn saved the whole land of Hyrule. 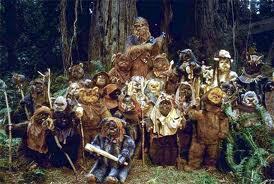 Last, but not least of my favorite fictional characters is Luke Skywalker. 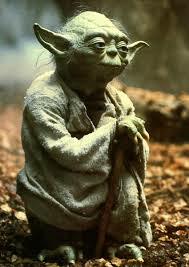 He then learned about Princess Leia who had been captured by Darth Vader and set out to rescue her. 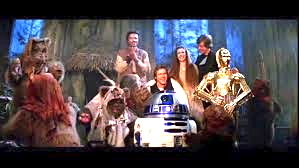 During his journey he met up with Chewbacca and the reluctant Han Solo who in the end realized that there was more to life then smuggling. 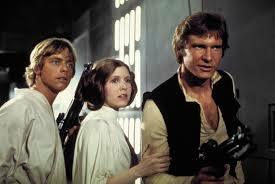 They saved Princess Leia and continue to help Luke fight the dark side of the force. 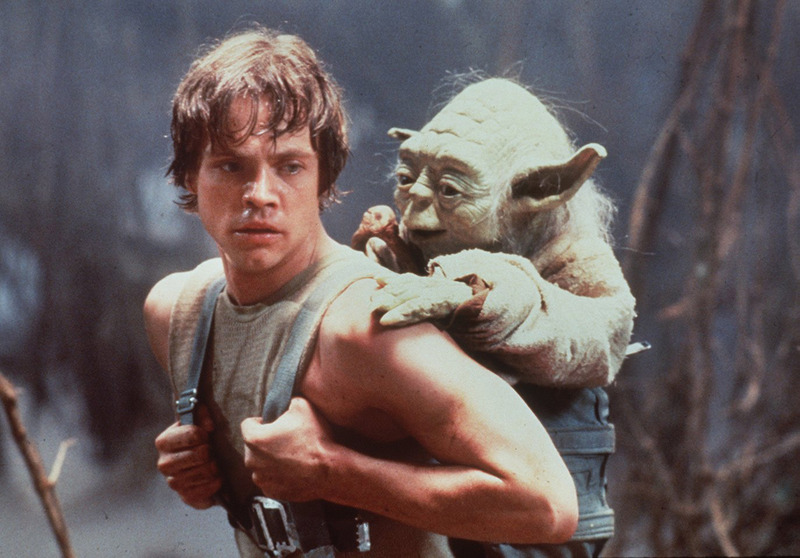 Luke continued to grow strong in the force by being a student of Master Yoda. In the end with the help of many…. Luke defeated the dark side of the force, saved His father Darth Vader and the galaxy. Yes, these are some of my favorite fictional heroes and they inspire me when I see and read the story of how they accomplish the goal with the greatness that they didn’t know that was there inside of them all along. How about some real life inspirations? One of my most favorite authors. 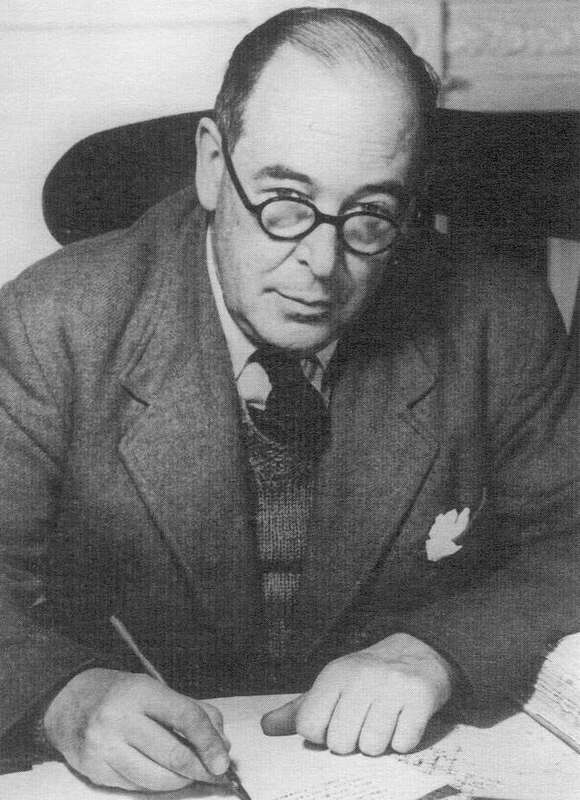 He wrote the Chronicles Of Narnia. His inspiration came during World War 2. London was being attacked and so they would send away the children who lived there to stay in people’s homes until it was safe to return. C.S. Lewis had 4 children come and stay with him. C.S. Lewis would write little stories for them and then would read them to the children for entertainment. Thus, began the wonderful stories of Narnia. If you would like to learn more about C.S. Lewis’ life I strongly recommend watching the movie Shadowlands it will touch your heart. One of my favorite composers. He wrote the famous Handel’s Messiah that we all hear at Christmas time. He became inspired to compose music and for 24 days he rarely ate and hardly came out of his room. 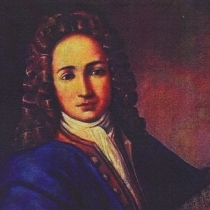 During those days he wrote 260 manuscript pages of music. “42 of the verses come from the Old Testament, including many passages from the Psalms and Isaiah. Thirty-one come from the New Testament.” When he had just finished writing the “Hallelujah Chorus” his servant came into the room and Handel turned to him with tears streaming down his face and said, “I did think I did see all Heaven before me, and the great God Himself.” Handel’s Messiah has touched people for over 200 years. 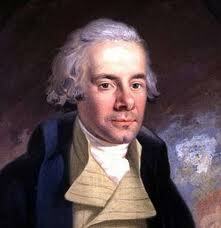 William was deeply involved with politics and social justice. His friend William Pitt challenged him by telling him, “Wilberforce, why don’t you give notice of a motion on the subject of the Slave Trade? You have already taken great pains to collect evidence, and are therefore fully entitled to the credit which doing so will ensure you. Do not lose time, or the ground will be occupied by another.” William Wilberforce hesitated as he was trying to decide if he should be in ministry or pursue the subject of the Slave Trade he wanted to be sure that he would do what was pleasing to God. So, Wilberforce went and sought the advice of an old friend named John Newton. John Newton had once been a Slave Trade Master. Over time came John came to know the Lord and wrote the well loved hymn “Amazing Grace.” When Wilberforce asked John what he should do John said to Wilberforce, “God has already placed you right where He needs you. God needs people in all sorts of occupations to do His work. Just think of all the government officials who will listen to you but would scoff at a preacher like me! God has a great work for you. The road will be long, but He will use you.” Wilberforce began to fight against the Slave Trade and after many long grueling years and being brought to illness because of his quest, Wilberforce saw the Slave Trade abolished. If you have not seen the movie Amazing Grace about the life of William Wilberforce and John Newton I strongly recommend this movie it is truly inspiring. Those are just a few of the people that inspire me. As I have thought about what it is that inspires me about these people. I discovered that it was that they were original. 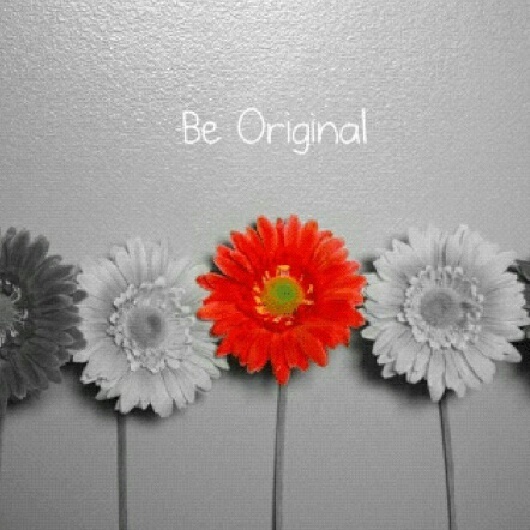 Each one being themselves and using the gifts that God gave them to the best of their ability. This is what I love about them. I have found at times it could be so easy to wish I was like a certain person or wish if I just had their talent I would be a better person. But, God showed me that He purposefully made each one of us different. Even to the point of showing me that no person has the same fingerprints. Each one is unique. He made me just the way He wanted me to be. Jeremiah 29:11 says, For I know the plans I have for you, says the Lord. They are plans for good and not for evil, to give you a future and a hope. God has a specific plan for you that only you can fulfill. Ask Him to show you what He has in mind for you. Be the person that He has created you to be. It will be quite the adventure! !